Falkirk District is an area truly steeped in tradition; an area where many of the most influential characters in the history of Scotland left their mark. William Wallace, Edward 1, John Knox, Mary Queen of Scots, Oliver Cromwell, the Young Pretender, James Watt, and many others, had course to take the road to Falkirk. This district was many things to many people - the ancient seat of Livingstons of Callendar, the location of the famous 'Speckled Kirk', the "Tryst' for the cattle drovers who walked from as far as Lewis or Ireland, or the place where dreams of glory were resurrected or finally laid to rest on a bloody battlefield. Today, the atmosphere of Falkirk District's colourful past can be re-created by paying a visit to one of the areas historic buildings or monuments. A small selection of these are described here, but the list is by no means comprehensive. Now open as a museum, Callendar was home from the 14th to the 18th century of the Livingston family, who were often centre-stage in Scottish history. They lost the house and estate because of there involvement with the Jacobites and in 1783, Callendar was bought by William Forbes, a London - based copper merchant. 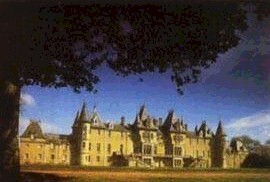 His descendants owned the house until the 1960's when it was bought by the old Falkirk town council. Visitors can see the 'Story of Callendar House' exhibition and visit the restored kitchen where costumed interpreters describe early 19th century life. 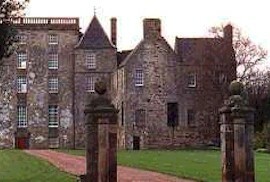 Set in the magnificent Kinneil Estate, the house can be viewed from the outside, but is closed indefinitely to the public. The Hamilton family constructed the existing building during the 16th and 17th centuries, but they probably had a residence on the site as far back as the 14th century. The house was later leased to various tenants, including John Roebuck, who was a partner in the Carron Company, and the philosopher Dugald Stewart. Blackness was the port of Linlithgow and a key player in mediaeval Scotland's trade with the Baltic. 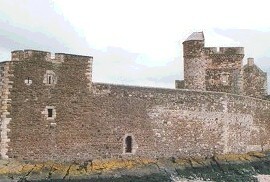 The castle is shaped like a ship and juts out into the Forth to hold commanding views along the coastline. Begun in the 15th century, it has undergone many alterations over the last 500 years. The castle was used as a set for the film 'Hamlet' starring Mel Gibson and directed by Franco Zeffirelli. Possibly the most historic building in Falkirk, the church stands on the site of what is probably the first Christian edifice in the town. Falkirk takes its name from the first stone-built church, erected in the Middle Ages when it was known as the 'Faw' or Speckled Kirk. 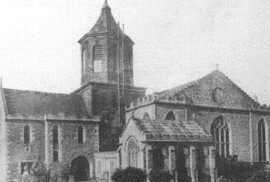 Most of the present building dates from the early nineteenth century. The church was the burial place for many of the Livingstons of Callender, and inside there are two pairs of stone effigies of members of the family dating to the 15th and 16th centuries. 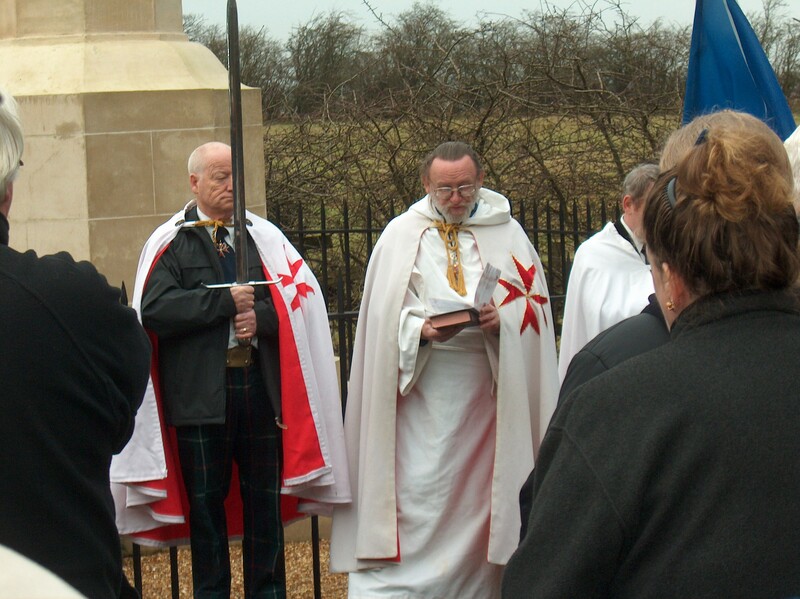 Buried in the churchyard is Sir John de Graeme one of William Wallace's supporters killed at the 1298 battle of Falkirk. One of the most peculiar buildings in Scotland. It was built as a folly in 1761 by an unknown Architect. It is part of the walled garden of Dunmore Park and was originally used as a garden retreat. 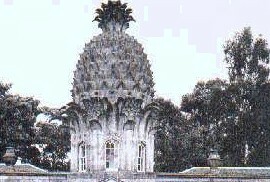 Pineapples were known to have been grown in Scotland in the early 18th century and were probably grown in hot - houses on the south side of the garden wall at Dunmore. It is owned by the Landmark Trust and used as a holiday residence. 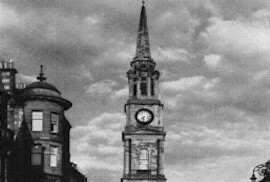 The Town Steeple has been the main meeting place and focal symbol for Falkirk's townsfolk since the late 17th century when it acted as a gaol. 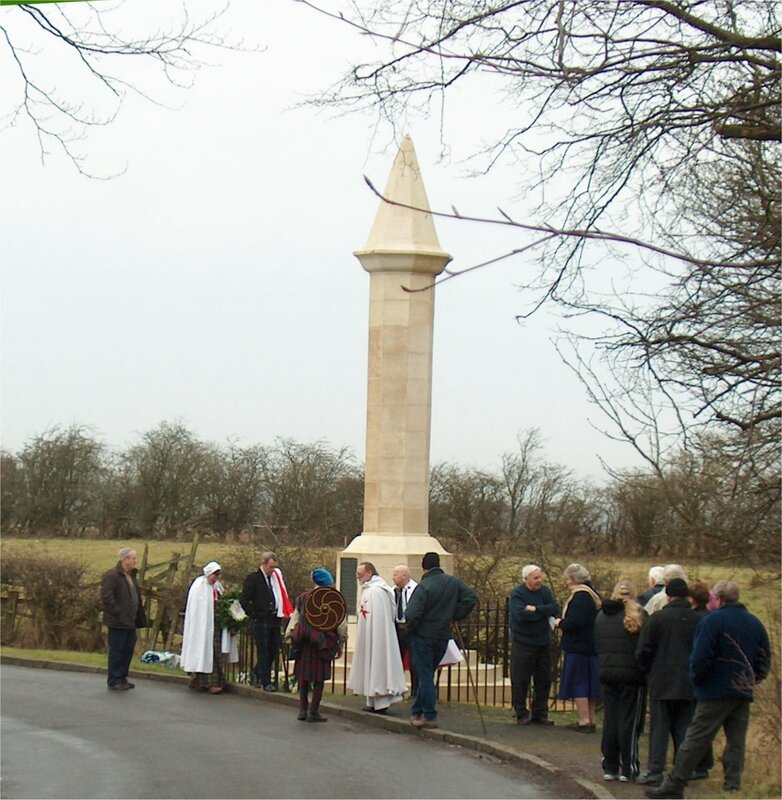 The original steeple was replaced by a new structure designed by David Hamilton in 1814. In 1927, the upper part was damaged by lightning and rebuilt. 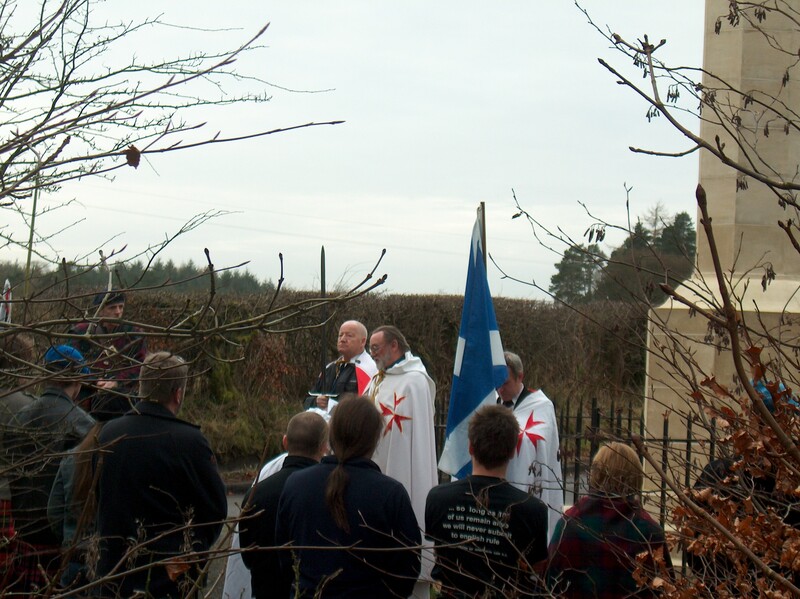 Airth was created a burgh in 1203, and was once the most important community in the District. During the Middle Ages it was the port for Stirling, and the royal boatyard, was located there. 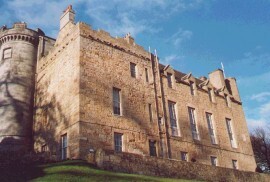 The castle, now a hotel, dates back to 1488 when Robert Bruce of Airth started building work to replace an earlier castle which had been destroyed by fire. Additions were made in the 16th and early 19th century. The ruins of Airth Old Parish Church stand nearby to the north - east. It dates back at least to the 12th century and exhibits some architectural styles of that period. Around the beginning of the 18th century, a new town of Airth began to develop downhill from the old medieval burgh, which was gradually abandoned. 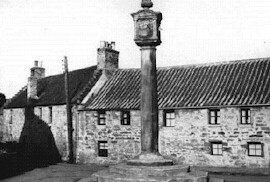 The present village stands on the site of this new burgh and the oldest structure is the Mercat Cross at the north end of the High Street. 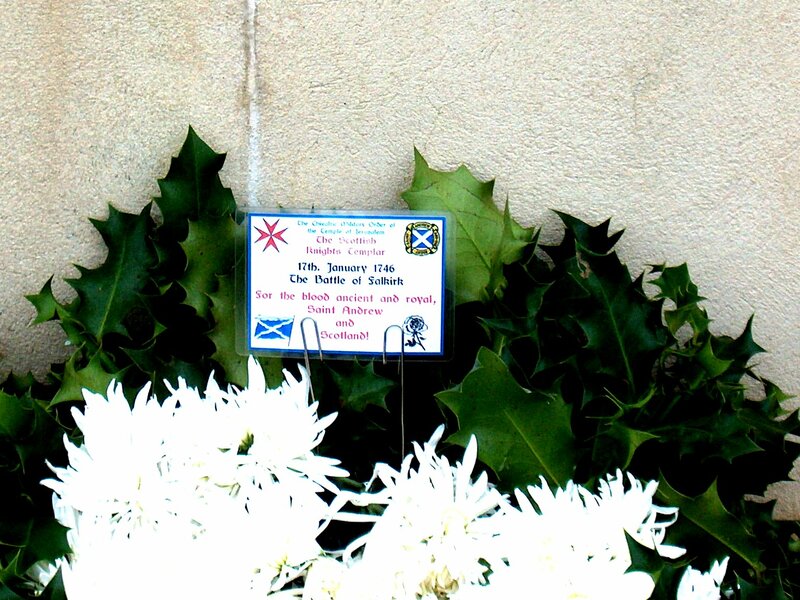 The Battle of Falkirk in January 1746 was the last Jacobite victory before decisive defeat later that year at Culloden. Bonnie Prince Charlie had been forced to take this back into Scotland when the English Jacobites failed to support his attempt to gain the throne. 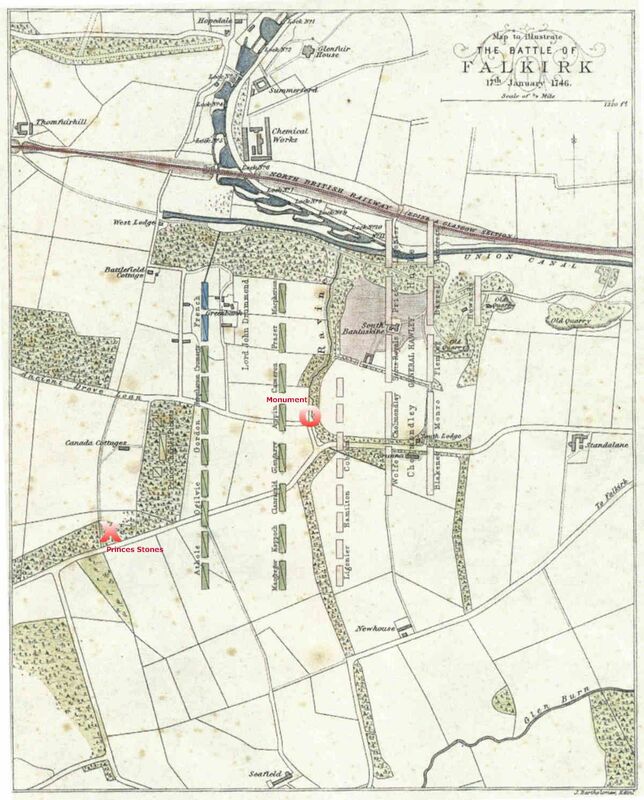 General Hawley of the government forces attacked Charles at Falkirk but was beaten back. 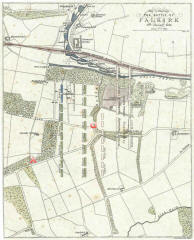 However, the Duke of Cumberland continued the pursuit of the Jacobite army until its ultimate defeat. 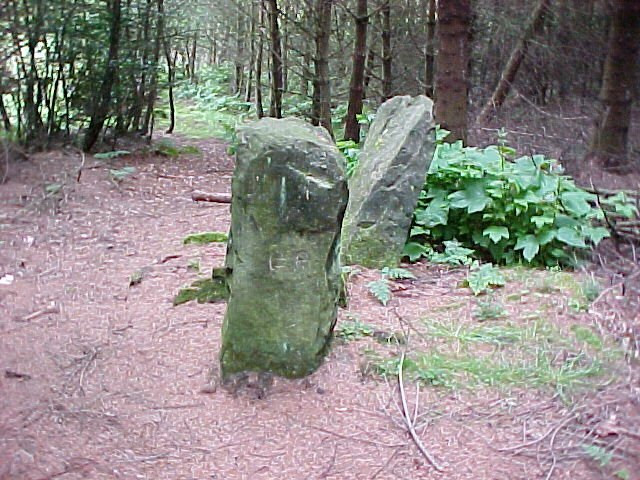 There are two sources of evidence from the 7th century AD, which both mention Arthur and connect him with a Kingdom known as Manann or Manau.The Kingdom of Manann stretched from the River Forth, which was its northern border, southwards to Slamanann Although an ancient British Kingdom, around the year 570 AD it was ruled by Aidan Mac Gabran (the father of Arthur). Within this Kingdom of Manann/Manau lay an imposing Roman fortress known to them as 'Ad Vallum', but to which the names Camelot and Camelon later became attached. It is still a protected site. 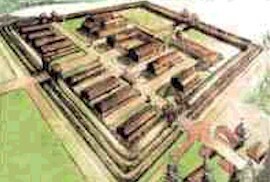 The fort has gone but the name has passed to a nearby village, still known to this day as Camelon, on the outskirts of Falkirk. 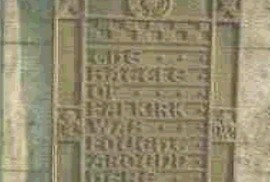 The monument was erected in June 1927 after a public fun raising campaign. 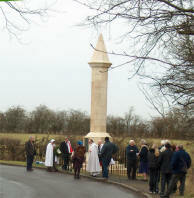 The monument went into disrepair and was refurbished in 2005.